Low-profile design provides superior handling on smooth, hard surfaces — as well as eye-catching good looks! 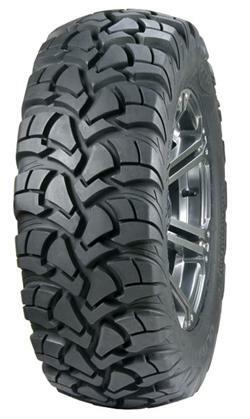 Tightly spaced, overlapping tread pattern lowers rolling resistance and enhances ride comfort. Tread pattern has been computer-designed to reduce rolling noise levels. 6-ply radial construction and a new, more durable rubber compound delivers longer wear and enhanced cut resistance. Super deep Rim Guard feature offers the best wheel lip protection in the business.